This is the first independent bookstore that I've visited in Alabama. If they're all this nice, sign me up. And if all the owners I meet are as nice as Jake R., keep signing me up. 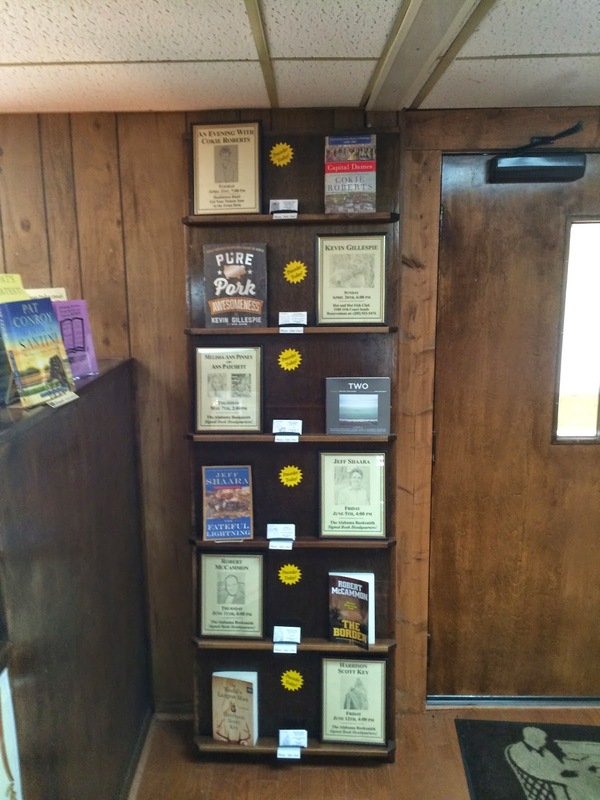 The Alabama Booksmith is featured in Ron Rice's, My Bookstore, and there's a reason. They've found a niche and they do it well. Many bookstores I've visited have their own specialty, or theme. As far as Jake knows, this is the only bookstore in the country that only sells books that have all been signed by the author. And almost half of all the books were signed here in the store, the rest signed by the author elsewhere. You might think this would make the books pricier, but it doesn't. 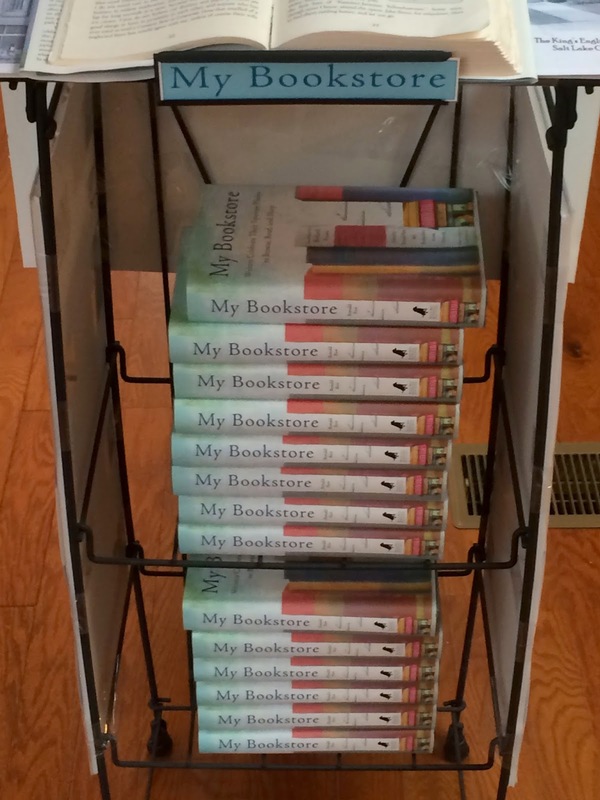 This store hosts frequent author events, held on or off-site depending on the anticipated crowd. On the day of my visit, Cokie Roberts was going to be signing her book, Capital Dames, in the store and then speaking in the evening. This one-level bookstore is very well organized and neat to the point of pristine. All the books here are displayed with the covers facing outward, a very nice touch and attractive to view. There is some business here from local customers but the bulk and success of this business is with online orders, which differs from most of the indies I've visited thus far. It seems to be working. There's no reason to doubt Jake. After all, this business has been going strong for almost 25 years and I see no reason for that to change. Another thing that differs here from other bookstores are the sidelines. Here you'll find a nice line of pens which they can personalize by engraving, but that's it. No greeting cards, no whoopee cushions, no sidelines. Signed books and online orders are the thing here. Jake and Mary, one of the booksellers, were fantastic to talk to. This is so common (and appreciated) with my many bookstore visits. As I told Jake, they really are my rock stars. 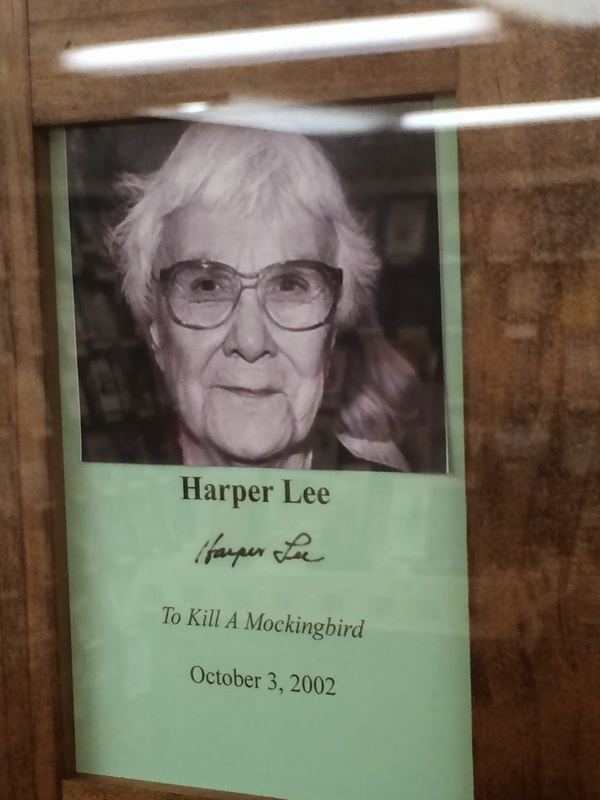 One word of caution though about The Alabama Booksmith, or maybe consider this more of a tip. Just because "booksmith" is in the title of the store, it doesn't' mean they do book repairs. They had a customer ask about this once. Readers, please don't embarrass me on your visit here and ask for a book repair. Instead, go inside and browse this beautiful independent in the heart of Dixie. You'll definitely be impressed. Go to an indie and buy a book. Bonsoir. CURRENTLY READING: A Prayer For Owen Meany, John Irving. This is a good one. RECENTLY PURCHASED: Mattie C.'s Boy: The Shelley Stewart Story, Don Keith & Shelley Stewart, Jr.
View from the parking lot that offers lots of easy parking. Enter the store around the right corner of building. View looking into the store from the entrance. Notice that all the books are displayed with the cover facing outward. This is the view looking to the right from the entrance. This display is behind the check-out counter. Who wouldn't be comfortable here?! Come on people, you need to buy this one! This is my guidebook and I'll be visiting every bookstore featured in this book. 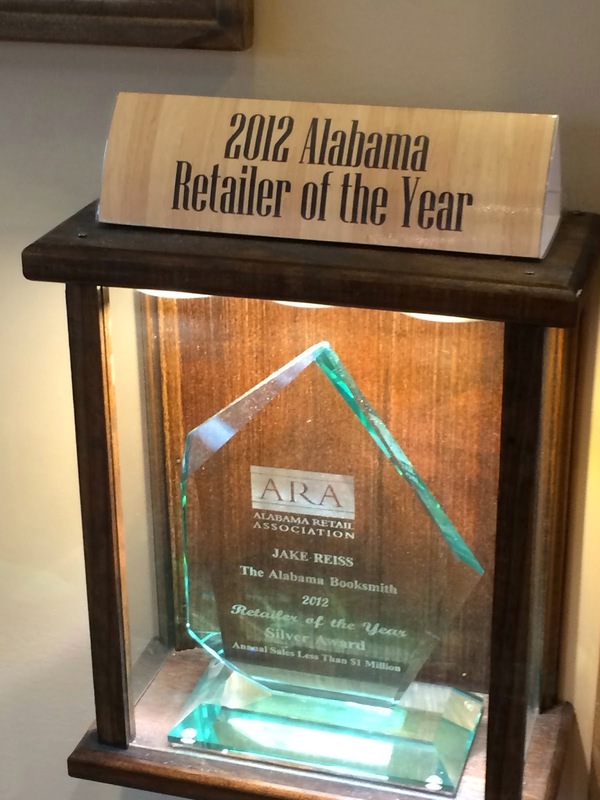 An award-winning business among all retailers, not just bookstores. 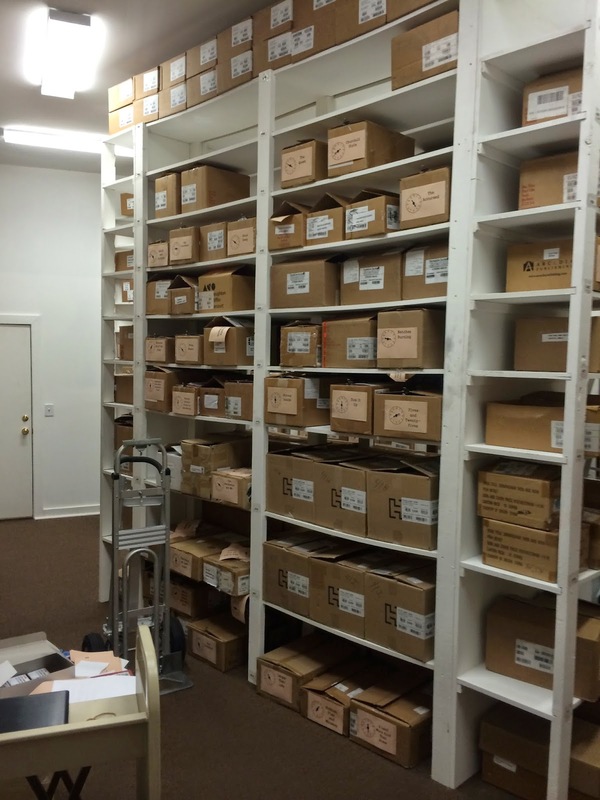 Part of the storeroom. More signed books ready to go. A nice space upstairs for in-store events. Another great place to sit down and browse a book. Upcoming author visits. I just missed Cokie Roberts. This is it for sidelines. The book is the thing here! This is a wall featuring autographed pictures of some of the authors who have been here. And look who I found on the wall! This is how they roll at The Alabama Booksmith! With Jake R., the fine owner at Alabama Booksmith. Thanks for a great visit!